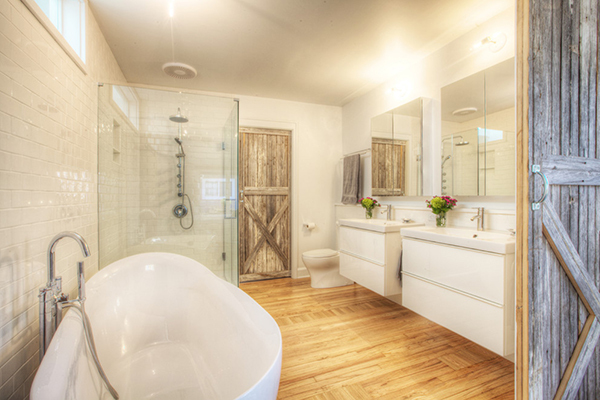 When a home is renovated, we make sure that we include features that we would like to see in our own dwellings. That would include the decorations and all the other furnishings of a home. It would greatly affect the look of your space and would also set it apart to how it looked like before the renovation. 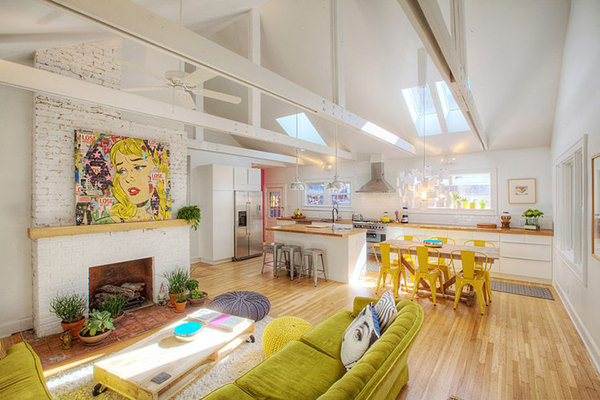 Well, we are going to show you a renovated home today with a beautiful interior decoration. The house is called the Broad Ripple Bungalow which was completely remodeled for open concept living. Located in Indianapolis, Indiana, this 1920s bungalow remodel “includes new skylights, new exposed trusses, and more natural light”. And yes, we can indeed see how bright and airy the home is. Even if we didn’t see the “before” photos, the home looked amazing and gorgeous especially with the splash of colors in it. I invite you to join a virtual tour of the house below. 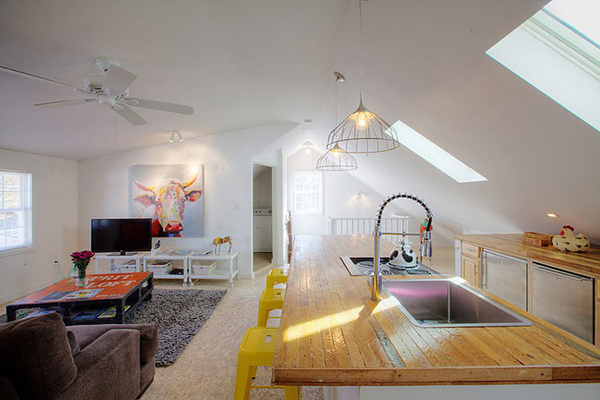 The home has that modern, Scandinavian and retro appeal with pops of yellow and green everywhere! 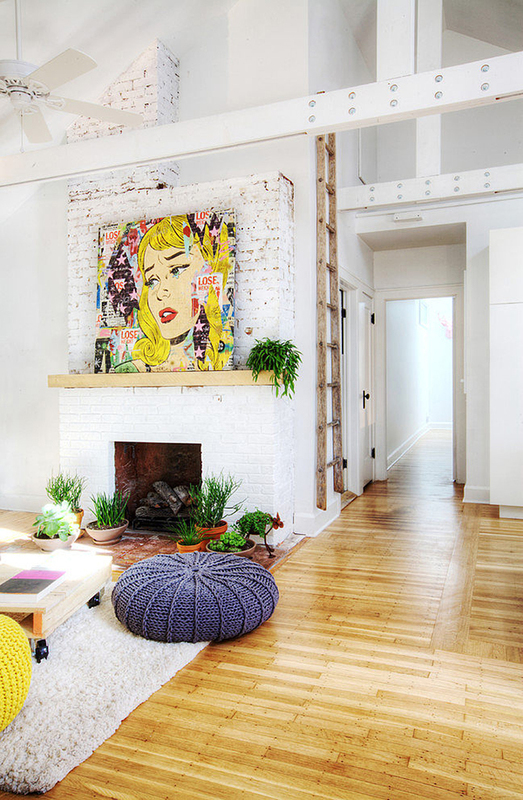 One item that would get your attention is this pop art on the mantle that goes well with other decors in the house. 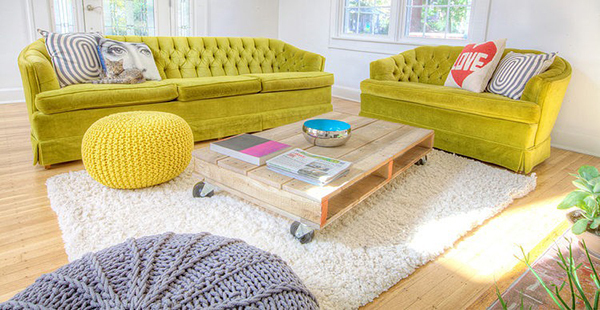 Grandma’s vibrant retro sofas are seen in the interior paired with a pallet coffee table. You can see the materials used for their countertop of this sink. Beautiful, right? 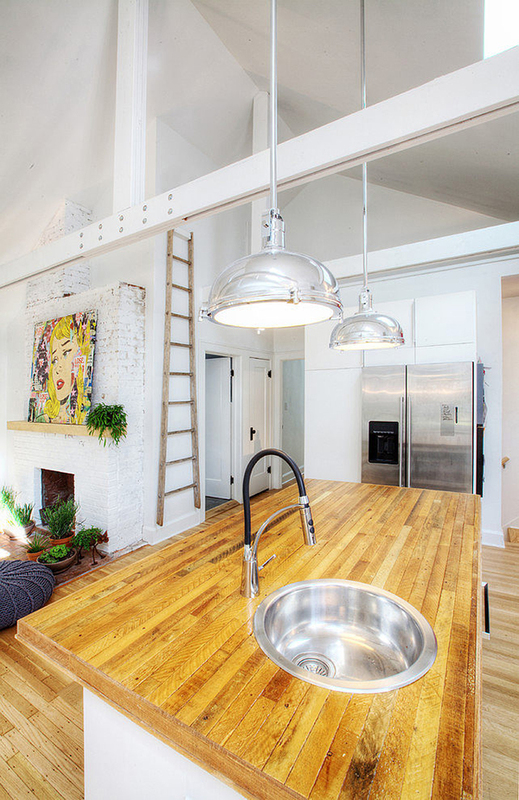 The kitchen opens to living/dining in this revitalized 1920’s Bungalow. Note the eclectic mix of items in the house. 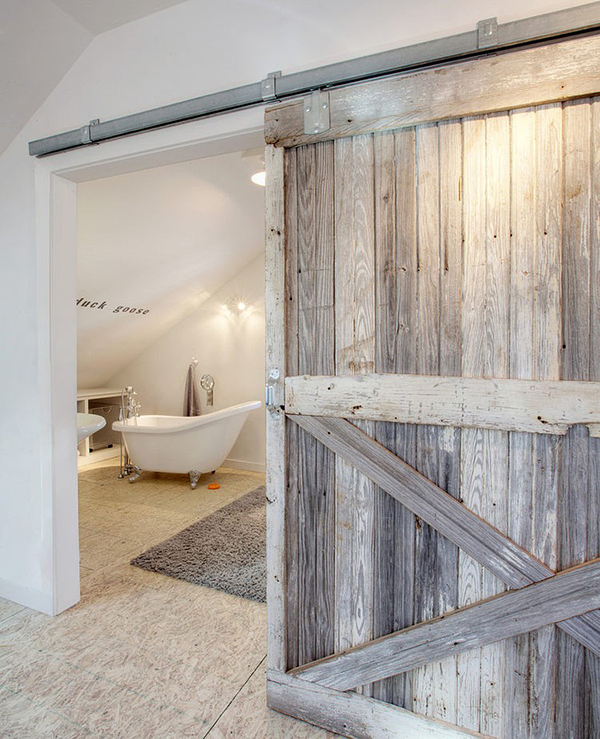 A barn door is used to access the en suite of the master bedroom. And this is how it looks like inside. Totally stunning, right? 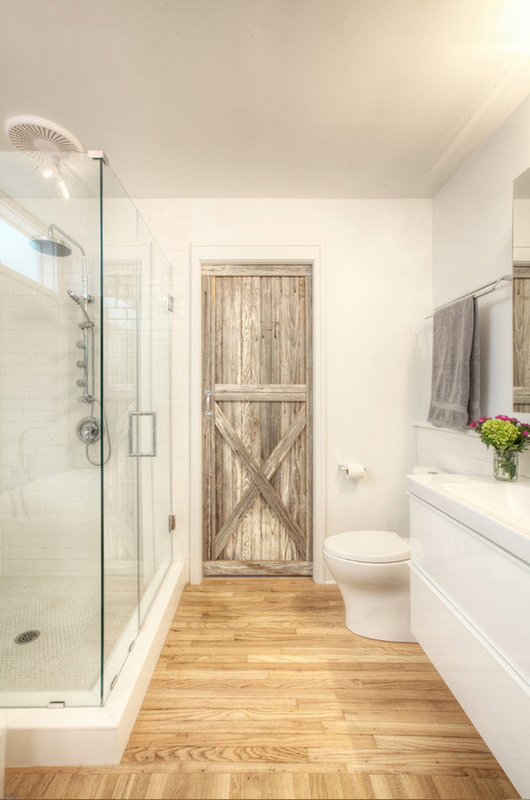 It has wooden flooring, subway tiles on the wall and yes, the barn doors! This door leads to a master closet. I wonder what it looks like in there. 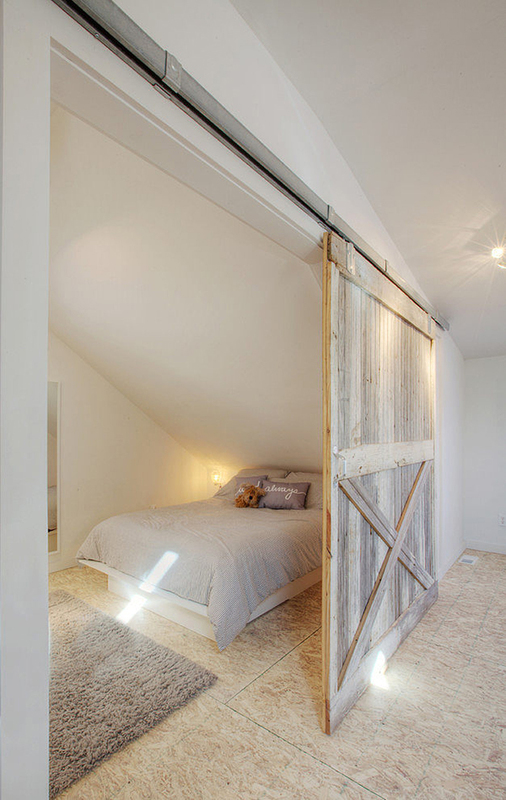 Here is another bedroom in the house that can be accessed through a sliding barn door. Yes, it is under a sloping roof but it does look beautiful. Right? 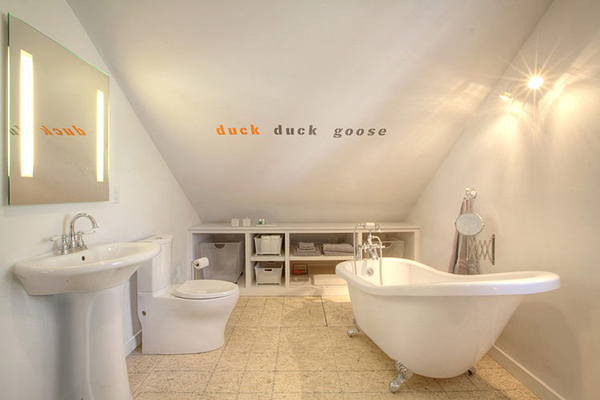 In the bedroom, it has its own bath tub, toilet and lavatory inside it. That seldom happens but the bathroom fixtures looked great! 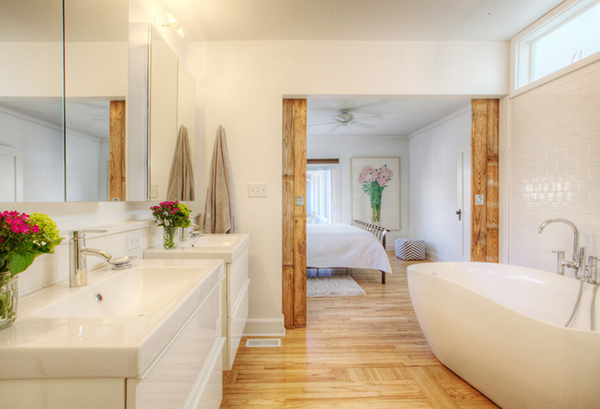 Here is the bathroom that is located inside one of the bedrooms. I can say it is lovely! So, what can you say? Isn’t this lovely? I like how they used barn doors for some spaces as well as the decorations too. I could say that this is an awesome project by Haus | Architecture For Modern Lifestyles for they were able to create a lively home that is cozy at the same time. 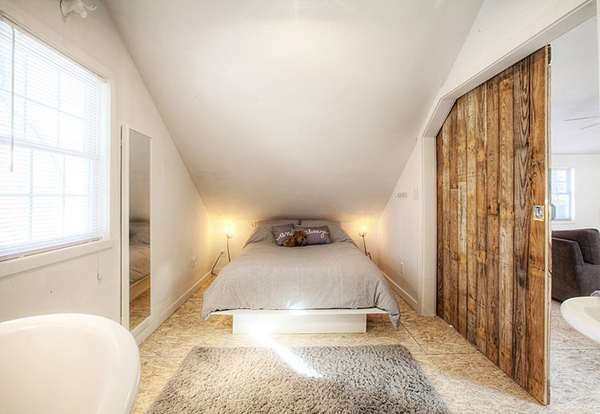 I can also sense a Scandinavian touch for the interior which made it even more beautiful! Trendy, artistic and eager- these characteristics make her always up for any challenge and be always on the go with the everything. She believes that it is not with the degree or course that you have that will make you successful. Enthusiasm, optimism, willingness and passion can make the creative mind work and allow the heart to learn and embrace the greatness and excitement that the world of Home Design Lover can offer.